The Second Coming is announced for 2011! 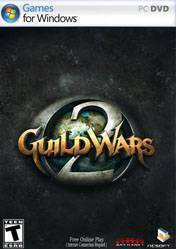 Fans of Guild Wars will be able to venture into Tyria, and discover the breathtaking world of Guild Wars 2! In the original Guild Wars, five great races competed and warred against each other, struggling to tip the balance of power in their favor. Then the dragons woke. A deathless dragon named Zhaitan raised the sunken nation of Orr, triggering earthquakes and tidal waves across the Sea of Sorrows. Zhaitan\'s undead armies surged from the sea, hungry for the destruction of the five races of Tyria: the charr, the asura, the norn, the sylvari, and the humans, an embattled but resilient people. Now heroes from the five races must set aside ancient rivalries and stand together against their common enemies. Magic, technology, and cold steel will determine the ultimate fate of the world. There are no comments yet about Guild Wars 2 . You can be the first one! Guild Wars 2 - What profession (Class) should I play? & Every Elite Specialization Explained!